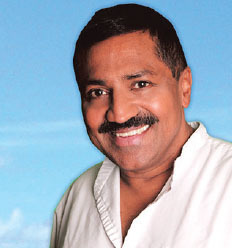 Mal Weeraratne is the Founder of Tantric Journey – School of Healing and Awakening. He is the British pioneer of Emotional Release through Tantric – Tao bodywork. Mal has worked in the field of Emotional Detox and Human Sexuality since 1994, treating over 3,000 clients from all walks of life from the UK, USA, Europe and Asia. Mal studied at the International Centre for Release and Integration in Mill Valley, California, studying under late Dr Jack Painter, the pioneer of Postural Integration. He also studied at Source School of Tantra Yoga in Maui, Hawaii under Charles and Caroline Muir for two years, giving him his CTE certificate and becoming the first Advance Certified Tantra Educator in the UK from Source School of Tantra Yoga. He also studied Osho’s White Tantra with Margot Anand in San Francisco, studied Journey Therapy with Brandon Bays in the UK, He studied NLP (Neuro Linguistic Programming) with Dr Robert Bays in the UK. He also studied Cobra Breath with Ipsalu Tantra. He studied Tao practices, Tao bodywork including Chi Nei Tsang (Abdominal massage), Life Pulse Massage and Karsai Nei Tsang Genital Detox Therapy with Grandmaster Mantak Chia at Tao Gardens in Thailand. Mal has over 20 years of bodywork experience, and qualified with ITEC – International Therapy Examination Council. He has learnt over 20 massage modalities and other therapies from all over the world before he was able to introduce Emotional Detox through Tantric Journey. Mal was born in Sri-Lanka, with an Eastern upbringing and a Buddhist Philosophy. He was educated in London and holds a BSc (Hon), degree in Bio Physical Science, DMS, post graduate diploma in Operations Management and a MBA, masters degree in International Business Mangement . He was a successful businessman who developed his own franchise business in 1990’s with over 60 franchisees in the UK and declined an offer of doing a PhD at London Westminster University before he embarked on Tantric Journey.